April brings us Earth Day, so Monadnock Buy Local is focusing on how our community is fostering adaptation, resilience and regeneration in the face of climate change. How can we make sure our region is able to weather the impacts climate change will have on our health and wealth -- from acute impacts from extreme storms and excessive temperatures to the chronic effects on our environment? By building more climate resilient communities NOW! What’s a Climate Resilient Community? One impressive effort to foster climate resilient communities in our region is the Ecovation Hub. What is the Ecovation Hub? The Ecovation Hub emerged as a response to the closing of Vermont Yankee, a nuclear power plant in Vernon, VT. Leaders in economic development, education, finance and business came together in 2007 to turn the anticipated loss of 600 high-paying jobs and economic activity into an opportunity -- an opportunity to cultivate the green economy throughout Southern Vermont, New Hampshire’s Greater Monadnock region, and the Upper Pioneer Valley of Massachusetts. Leaders decided on a big mission: to build a hub of sustainability and resilience that acts as an incubator, accelerator and engine of economic growth in balance with our resources. They strive to build on existing assets and brand our region as the center of knowledge for sustainability and resilience. Instead of focusing on just one industry, they look to promote many -- including sustainable housing, regenerative food systems and green enterprises. Last year, the Ecovation Hub formed a training consortium with four higher education institutions: Antioch University New England, Greenfield Community College, Keene State College and School for International Training. One of the consortium’s goals is to partner with businesses and workforce development organizations to develop a climate-ready workforce. The consortium’s first offering is a Green Building Leadership Institute at Keene State College from May 21 to June 1. The institute includes two week-long courses designed for both new and emerging leaders. Participants will improve their leadership skills, learn about new green construction trends and gain valuable strategies for designing sustainable buildings -- whether part of a neighborhood, campus or municipality. For more information, contact the Keene State College Office of Continuing Education at 603-358-2290 or visit keene.edu/ce. 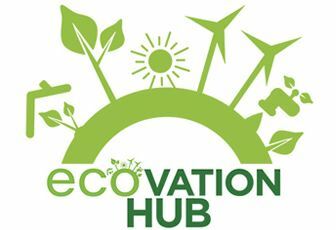 The Ecovation Hub’s work will become more and more visible in the coming months. As it does, we will continue to highlight their work in future articles. Please stay tuned at monadnocklocal.org/regeneration. 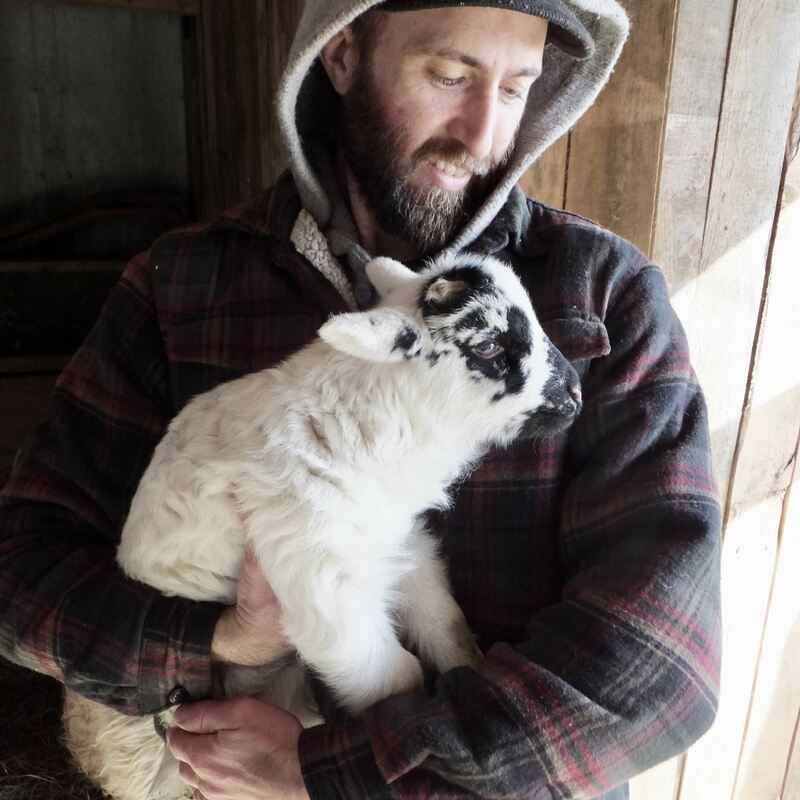 Speaking of green building, sustainable agriculture and resilience, Village Roots Permaculture Farm’s crowdfunding campaign on The Local Crowd Monadnock recently reached its goal of raising $10,000 -- and they accomplished this goal in just two weeks! Village Roots is a family owned and operated, regenerative farm that is part of the Orchard Hill Community in East Alstead, NH. Owners Marty Castriotta and Ellen Denny will use the funds to purchase locally harvested lumber and hire local contractors to construct a dry and spacious barnyard. They will use the barn for the farm's animals during the winter and hold educational workshops for the public during the growing season, including permaculture design and certification courses. "The beauty of a barn raising is that it is a community endeavor," shared Marty. "We'll mill the wood and cut the timbers. You help by contributing to the campaign that will pay for our roof, siding, sight work, gravel, electric and much needed refrigeration. Then you show up on raising day, if you wish, and we raise the frame together." To me, Marty and Ellen’s success shows that our community is hungry to support businesses like Village Roots. Hungry to show your support? This campaign will continue to collect contributions through April 28 at https://c-fund.us/f3q. How can the Monadnock Region foster more climate resilient communities — able to bounce back and adapt to climate change? Reduce the likelihood of structural damage resulting from predicted increases in severe weather events. Encourage more pitched roofs and incorporate design standards that consider snow stacking (zones and increase in roof loads) and ice falling zones. Identify a 200-year floodplain and prevent future development in these areas. Investigate design standards for buildings that currently handle weather conditions similar to the climate forecast New England can expect in the future (e.g., buildings constructed in the southern states). Continue to research and allow City staff to participate in educational opportunities to learn about advances in green building design and practice. Create, adopt, and implement a City building and energy code that incorporates sustainability, green building materials, and energy conservation principles by 2012. Research and review existing information and how similar codes have been developed and implemented in other communities. Improve existing energy conservation standards to a minimum of 25% through implementation of the code in both commercial and residential development. Garner input from the development community and other stakeholders to ensure the development of a code that is easy to understand and easy to implement, while simultaneously achieving the City’s sustainable development and energy conservation goals. Explore the use of traditional and alternative building materials for added strength and durability of construction to improve the longevity of buildings and then incorporate these materials into building code requirements. Make all new development in Keene “green” (i.e., sustainable). Build a green building (City-owned or private) in Keene that can serve as an example for the community that incorporates sustainable design and materials and is 50 to 70% more energy efficient than a conventionally designed building, within five to seven years. Incorporate sustainable stormwater design and management techniques to lessen the ecological footprint of new development, and take into account the potential for greater storm loads, by 2012. Explore, craft, and implement design standards that will support development that creates a smaller ecological footprint for municipal and public buildings (e.g., LEED certification for municipal buildings) while enhancing their resiliency to severe weather events. Lower the ecological footprint of existing buildings. Update City code to include green building standards for all major renovations, in a fashion consistent with Goal A outlined above, by 2012. Include options and incentives in the building and energy code for developers and homeowners: alternative building materials, alternative energy sources, HVAC system designs that achieve, at a minimum, 50% greater energy efficiency, by 2012. Update the City’s Infrastructure Standards to ensure public safety in the event of major flooding or severe storm events. Reduce sprawl and promote infill development/redevelopment. Identify areas within the City that have infill or redevelopment potential and are outside an area of potential significant impact to flooding. Aim to have 50% of these areas developed by 2027. Adopt smart growth principles in the comprehensive master plan to support this goal, which provide for growth boundaries to avoid new or continued development in areas that are deemed high risk through a vulnerability assessment. Revise conservation subdivision regulations to create incentive for the developer to provide greater densities and community services in this type of development, while achieving open space conservation. Devise incentives to foster infill development in areas within the City that have been identified as being at low risk for flooding. GOAL: Support environmentally sustainable businesses and economy. Review and rewrite zoning code and land development regulations in five years to include sustainable building materials, design, and energy conservation measures. Provide incentives for businesses to locate in Keene that produce sustainable and environmentally friendly products or that utilize sustainable principles in their production processes. Create an Economic Development Coordinator position within the City. GOAL: Increase the vitality and competitiveness of local business. Identify economic development policies and goals that incorporate sustainability; then seek out businesses that meet those goals. Support business incubators to bolster local business development that provides “niche” services or products that are environmentally friendly. Provide assistance in the creation or identification of markets for sustainable businesses or their products. Create a media package that invites target companies to locate in Keene and highlights Keene’s commitment to the environment and sustainability. Create a way-finding system to increase ease of movement and access to key areas (e.g. downtown, evacuation routes, warm/cool shelters) of the City via alternative transportation modes and prioritize clearing of these paths in the event of emergencies. GOAL: Decrease the ways in which energy supplies could be interrupted. Identify low-risk areas that would allow for the safe burial of existing power lines (coordinate with road improvement projects and upgrades in the Capital Improvement Program) to avoid interruptions due to increased precipitation events. Establish the requirement that new construction builders bury utilities during the construction phase. GOAL: Increase the resiliency of emergency energy systems. Connect emergency centers with onsite renewable energy sources to reduce susceptibility to lapses in the conventional energy supply. GOAL: Increase municipal and community energy security, use of renewable resources, and overall energy efficiency. Provide 50% of municipal and community energy needs locally through local renewable energy resource development (such as small scale wind, micro hydro, solar, geothermal, and other renewable resources) by 2027. Take steps to decrease municipal and community energy consumption by 25% and decrease greenhouse gas emissions caused by the production of energy by 75% through energy conservation measures and the development of renewable energy resources by 2027. Create a wind assessment specific to Keene that identifies sites for wind generation facility development, if feasible, including the City’s recycling center, by 2010. If adequate wind availability for a wind generation facility to be installed at the recycling center, the City should install such a facility and seek grants, other funds, or partnerships to leverage local dollars to cover the cost of purchase and installation of a wind generation facility by 2011. Incorporate solar hot water heating into 20% of households by 2020. Incorporate passive solar, micro hydro, geothermal, and micro wind into residential and commercial development and zoning codes by 2012. Provide training for developers and designers to include these technologies (e.g., wind generation, solar, geothermal) into development design. Expand City’s green fleets program. Develop alternative energy supply demonstration projects including micro hydro, wind, alternative fuels, etc. GOAL: Engage energy providers to enhance local renewable generation opportunities. Encourage the state to increase amount of renewable energy produced in the state and to keep that energy in the sate. Work with local energy providers to provide incentives for the development of renewable energy resources for residents and local businesses. GOAL: Create alternative route options for movement of goods and people. Identify alternate routes and modes for goods transport and evacuation efforts during emergency situations. Incorporate requirements into site plan, subdivision, or zoning regulations that require a grid system for future street layout patterns. GOAL: Design and reconstruct roadways to handle changes in temperature and precipitation as a result of a change in climate. Change design requirements for new or refurbished roadways to include different pitches combined with stormwater design and/or use of more permeable surfaces to effectively remove water from the roadway. Explore roadway materials that may be utilized in road construction that are more tolerant to quick changes in hot or cold weather in order to decrease repair costs, enhance safety, and increase longevity of road surfaces. GOAL: Provide sustainable transportation mode choices (locally and regionally). Identify and implement Transportation Demand Management (TDM) techniques. Increase multi-modal trail infrastructure throughout the City to connect people from where they live to services and work through walking, bicycling, etc. Changes in site plan, subdivision, and land use policies may support the development of a more comprehensive system. Identify and obtain funds (local, state, federal) for the development of a local public transportation system that connects with the regional transportation system. Lobby policy makers to make changes in transportation policy to support the development of statewide multi-modal transportation infrastructure in areas less susceptible to significant climate impacts.